Memorial services for Alan Joseph-Lipiec, 62, lecturer, Visual and Performing Arts Department, are scheduled for 2 p.m. Jan. 24 at the Olympian Plaza Reception and Event Center, 975 S. Union Boulevard. Joseph-Lipiec died Dec. 20 following a short illness. He joined UCCS in 2009 and taught guitar. 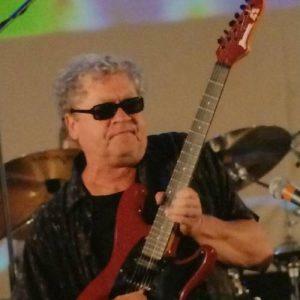 He helped found the guitar studio of the Music Program and was a former faculty member at the Colorado Springs Conservatory and the University of Denver. His family published an announcement that appeared in the Dec. 24 in the Colorado Springs Gazette. It follows. The Gazette also wrote about his death and role in the community. Musician, 38-year Colorado Springs resident. Survived by his wife, Jana Lee Ross; a son, Tim Alexander; a daughter, Tasha Alexander; two brothers, Mark and Paul Lipiec; and a sister, Linda Papuga. Celebration of life service, 2 p.m. Jan. 24, Olympian Plaza Reception & Event Center, 975 S. Union Blvd. Shrine of Remembrance Funeral Home, Mausoleum and Crematory.